My name is Stephanie and I am a makeup-shopping addict. There you have it. I have gone through a pretty rough year and one of my few solaces has been the old tried and tested 'retail therapy'. Combined with a lot of stress, a growing interest in makeup and the easy comfort of online shopping, I noticed in shock that my makeup collection has grown 5 times as bigger than it was just last year. I decided that I need to take back control over my spending habits. With help from the makeuprehab sub on reddit, I have decided that 2018 will be a low-buy year for me (only repurchasing essential products I have used up). I also decided to challenge myself to use more of the makeup I already have. 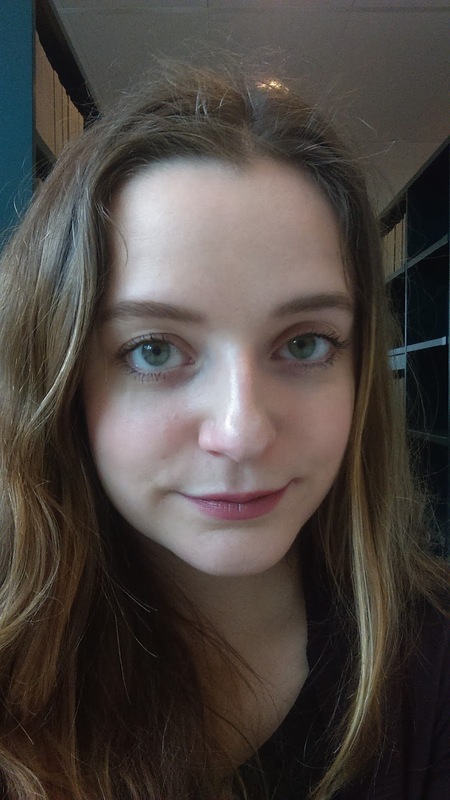 For a few weeks I have therefore challenged myself to wear a different lipstick every day and to rate it at the end of the day. I also challenged myself to use one eyeshadow palette per week, until I have gone through all of them. Last week, the palette that I used was the Too Faced Chocolate Bon Bons Palette. This palette is one of my old favourites and also the first palette I ever bought online. Back then, I still carefully researched the palette, looked at all the swatches, reviews and videos I could find about it, and waited for two weeks before finally ordering it. And I do not regret that decision. Within this week, I actually managed to use all the colours and I was very pleasantly surprised when I noticed that literally every colour in this palette suits me. I think this palette might be the only palette I have where this holds true. The palette holds mostly neutral to cool-toned colours, and most of the shades are pretty natural. It does have a few 'fun colours' as well, I will go into detail about those with the individual looks. 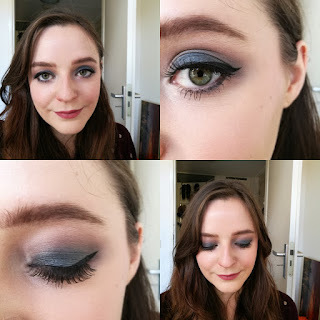 This palette was great for everyday looks, but the colour scheme also makes it pretty versatile. The colours all go together very well, which I find very handy (I am terrible at combining colours). Using this palette, I noticed that the pigmentation of the colours is not as great as I remembered. It did not bother me, however, since the shades are easily buildable and I prefer softer, more subtle looks for workdays anyway. The pigmentation is actually very userfriendly, especially for beginners and people on the paler side. For all the looks, I used the shade Divinity as a base shade. This was a very wearable, subtle mauve-gold look. For this look, I used Mocha in the crease, Molasses Chip all over the lid, Satin Sheets in the inner corner and Malted as a liner, applied with a smokey liner brush. This was a very subtle, cool-toned shimmery look. I used Cashew Chew in the crease, Pecan Praline in the outer V, Dark Truffle in the outer corner of the lid (applied lightly) and Satin Sheets all over the lid, in the inner corner and as brow bone highlight. Also, evidently, I am terrible at mascara application! This was a nice mix of mauve and taupe, amd also a bit deeper than the looks I did before. I used Mocha in the crease, Bordeaux in the outer V and on the lower lashline, Dark Truffle in the outer corner of the lid and Cafe au lait on the entire lid. I think Cafe au lait is my favourite shade from the whole palette, a hard to describe taupey shimmer. This is a look based on a tutorial by Kathleen Lights. 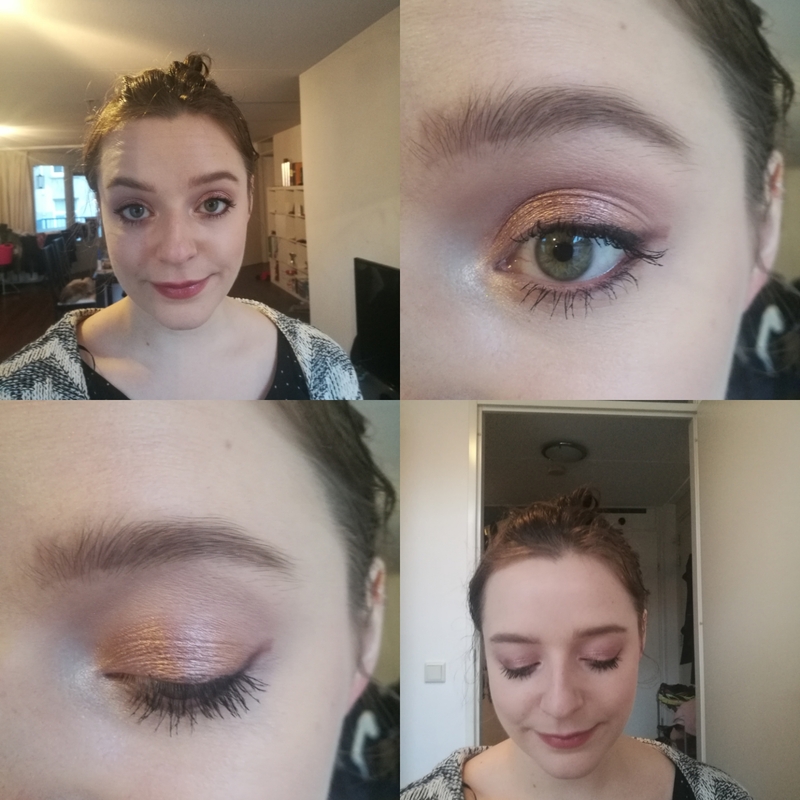 She added a colourpop shadow that I have an exact dupe of (also by colourpop), which I have bought months ago and never used so far, so I thought it would be a good thing to add to the challenge. It was a nice, rosey gold look and a bit more eye-catching than the other looks so far. The rose gold shade was more intense and rosy in real life than on the pictures. Still workappropriate though. For this look, I used Cashew Chew as a Transition shade, Almond Truffle in the crease, Satin Sheets in the inner corner and on the inner third of the lid, Colourpop Highstrung all over the lid (a beautiful rose-gold single shadow), and Bordeaux as liner and on the lower lashline. On Friday I did not have to go to work, so I decided to give the bolder shades a go. I could not find a tutorial for the shade that I wanted to use, so I had to come up with today's look by myself. This look is a bit out of my comfort zone, but I did surprisingly enjoy it. For this look I used Pecan Praline as a transition shade, Cashew Chew in the crease, Malted in the outer V and Earl Grey all over the lid and on the lower lashline. Earl Grey took a bit of building up and had some fall out, and it looks more like a blue on me than a green. It is not something I see myself wearing often, but it was fun for a change. It looked very autumn-y. I decided to do a look with only the pink shades of the palette for Saturday. 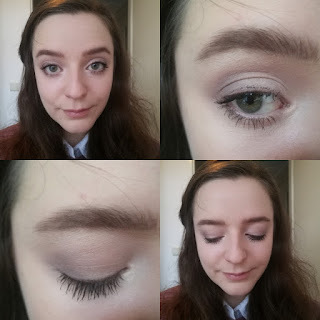 I used Almond Truffle in the crease, Sprinkles in the inner corner and the inner third of the lid, Cotton Candy in the center of the lid and Totally Fetch (yes, that pink shade that jumps at you when you open the palette) in the outer V and outer third of the lid. I am always surprised by how wearable Totally Fetch is. 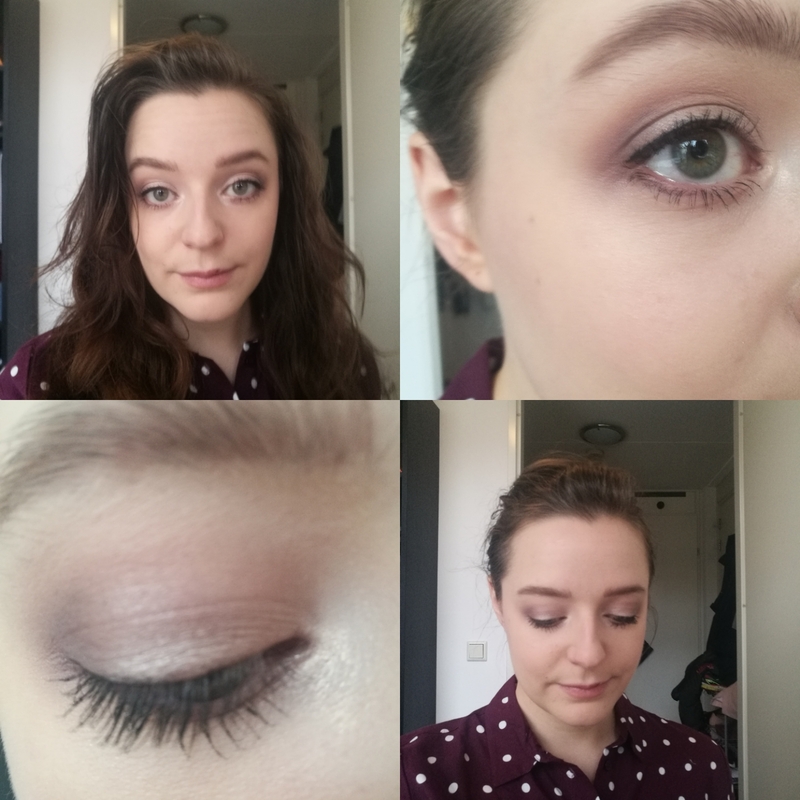 Maybe not work-approriate, but I really like how well this shade goes with my eyes. 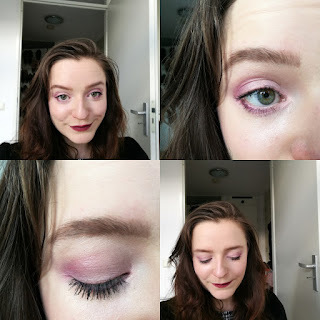 So I really like purple - purple lipstick, purple eyeshadow, purple clothes. And surprise, surprise, this TooFaced palette has a purple shade in it. So I had to go for a purple look. But surprise, surprise, this is a TooFaced purple and it performs... poorly. This look took a longer time to create than necessary. 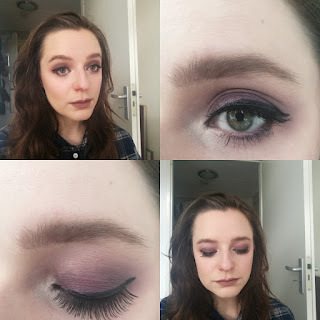 I used Cashew Chew as a transition shade, Almond Truffle in the crease and Malted in the outer V. And then I tried to apply Black Currant all over the lid. I say tried to, because it had massive fall out and did not want to stick to my lid. I then sprayed my brush, which helped a little bit, but I needed about 3 layers to have a satisfying amount of pigment on my lid. When I went to apply a bit more of the crease shade, the purple basically vanished from my lids again. I reapplied the shade. Then I did my eyeliner and the purple has vanished again. It took A LOT of reapplication to get to the finished look and it was pretty much a mess. I have other purples, so I don't think I will be using this one ever again. I guess you can tell by the pictures that this was not my favourite look of the week. Regardless of the harder to apply 'fun shades' in this palette, I am still in love with the palette overall. 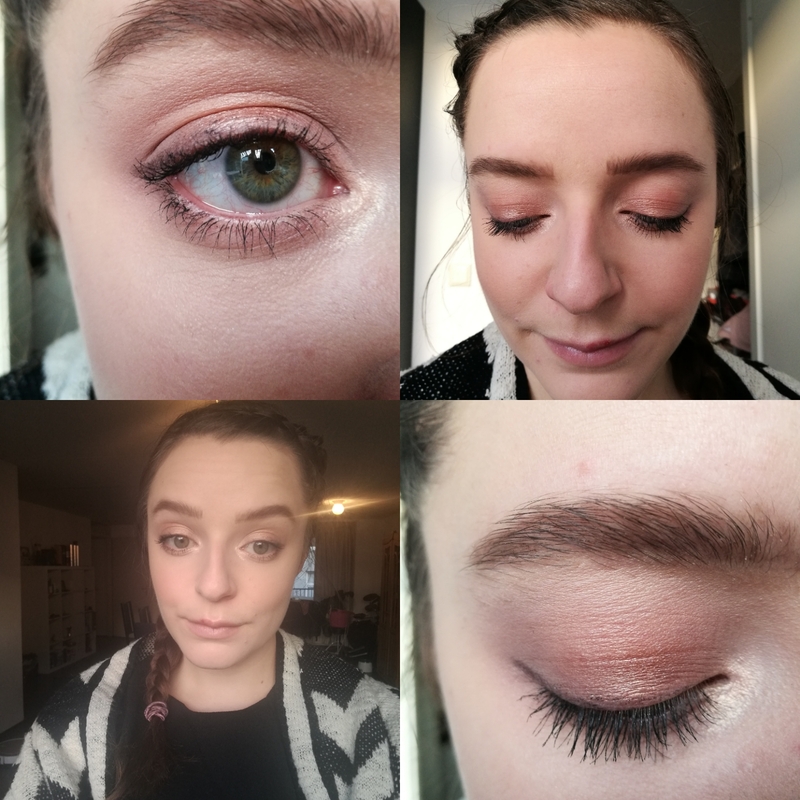 It is great to create easy, quick and subtle everyday workday looks with it and since I am not a morning person, this palette is exactly what I need. So I will definitely keep this one in my stash. I am currently living in the law library of my university. I am currently absolutely in love with Mac's Creme in your coffee. Therefore, I was psyched yesterday when I went through my (abnormally extensive) lipstick stash and found a cheap lipstick I had picked up in Germany a while ago, that actually resembles Creme in your coffee a lot. I am talking about the P2 Full Shine Lipstick in the colour 090 Come Out With Me. Unfortunately, it's not a perfect dupe. 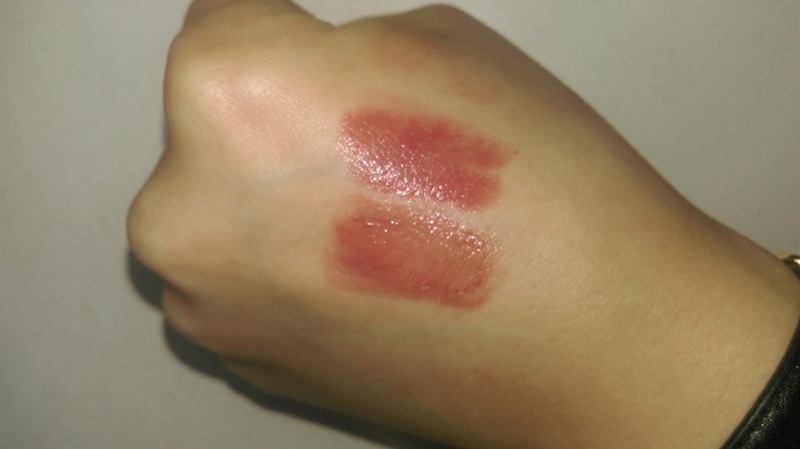 The P2 lipstick is a little bit more rosey and its formula is much more buttery than the Mac lipstick. I like to think of it as the Lustre version of Creme in your coffee (which has a cremesheen finish). Another negative point for the P2 lipstick is its staying power. Since the finish is so buttery, it feels like a balm on the lips, which is very nice. However, this also leads to the lipstick being gone after about an hour and also after every time you eat or drink something. 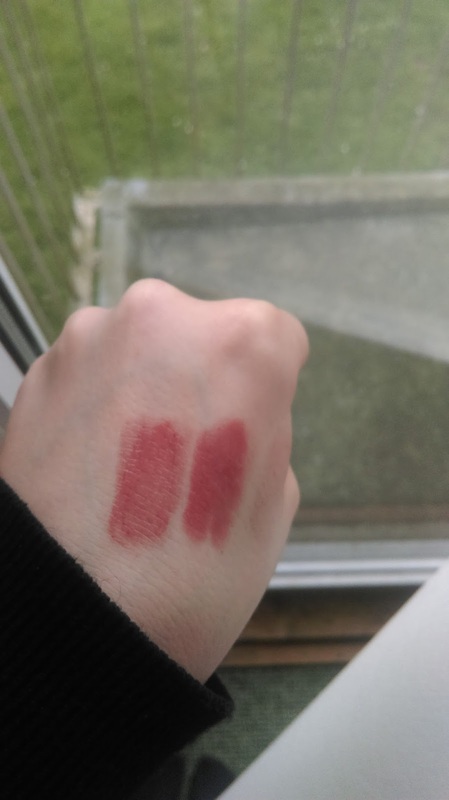 The different finish and the difference in quality to the mac lipstick are very apparent. On the other hand, the P2 lipstick costs less than 3 euro. Seriously. Besides Essence lipsticks, this is the P2 lispsticks are the most affordable lipsticks I know. Unfortunately, I think that the brand P2 is only available in Germany, I am not sure about this though. If you have seen P2 in other countries, please let me know! Since I have very dry lips, and also a pretty small budget, I will keep the P2 Come Out With Me lipstick as a spare for my Mac Creme in your coffee! Do you know any other dupes for Mac Creme in your coffee? Schau dir Finis Profil bei Pinterest an. we are makeshift, but adorable.